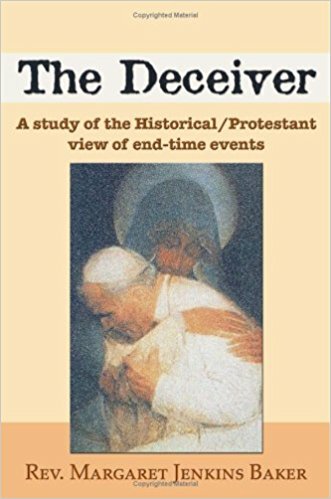 The Deceiver takes the reader on a journey through the Word of God, revealing the Protestant view of end-time events. This view, also known as the Historical view, is not new to the Protestant church, but was largely abandoned due to the rising popularity of Futurism in the twenty-first century. Futurism was accepted by evangelicals in the 1960s after Pope John Paul called an ecumenical council together in Rome (Vatican II) and convinced many Protestants to come together in Christian unity with the Roman Catholic Church, despite their many doctrinal differences. Soon after, many Protestant churches gave up their 400-year "protest" against the church of Rome and its false doctrines. The Protestant, or Historical, view, which contains the truth about the Antichrist and end-time events, was subsequently abandoned by many denominations in favor of Futurism. The Deceiver compares both views through the light of scripture and the inerrancy of God's Word. Pls. Login to your Google Account to read the ebook. Thank you. Visit Margaret Jenkins Baker Facebook Page.